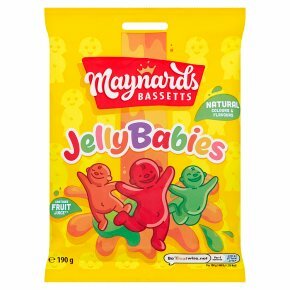 These delicious fruity flavoured soft Jelly Babies are a true confectionery classic. Since 1918, these Jelly Babies have been loved by kids and adults alike. Made with real fruit juice, natural colours and flavours. This 190g bag is perfect for sharing with friends and family.